Glorious Morning: Tonight's all mine, tomorrow I'll sleep. I am always busy. It is a trait that I picked up at birth. My mother tells me that out of all five of us children, my birth was the fastest, that I came into the world running and have yet to slow down. Today, keeping in fashion with every other day, I did an absurd amount of things. 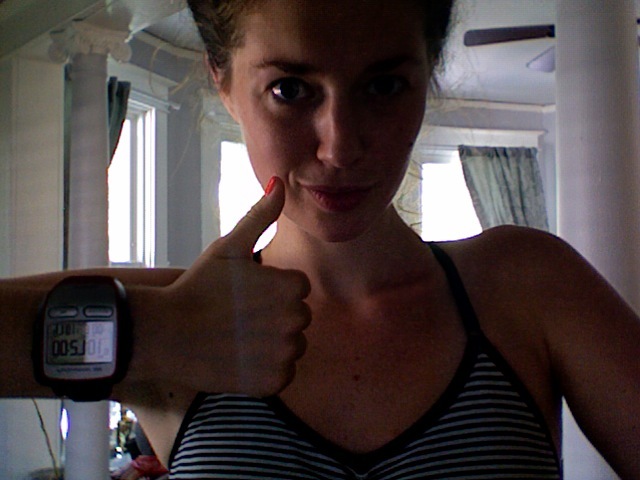 For starters, I went for my first run with my new GARMIN Forerunner 305! I LOVED it! I didn't have time to go very far, just a 3.5 mile loop, but somehow it managed to make the run seem so much shorter. 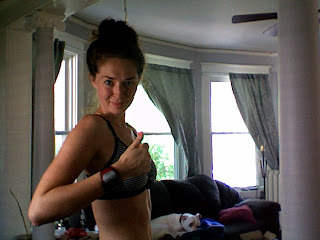 I was able to keep track of exactly how far I had run and at what pace. It was a silent partner, reminding me that I had work to be done. It has now been added to the list of my favorite workout accessories- my bike, helmet, yoga mat, mizunos, music, a good attitude... garmin! After my run I went to Starbucks and met my Aunt Nanci for lunch. We have not had a chance to see each other for months, despite the fact that we live only twenty minutes apart. We sat outside on the Starbuck's terrace in the absolutely perfect weather, drinking fruit smoothies and eating apples, crackers and cheese. C'était magnifique! There is nothing better than the feeling of closeness with family, especially when you can unabashedly share your life's stories and hickups.... which is exactly what we did today. I don't often need the opinion of others before I proceed, but it surely is nice to hear the wisdom of someone that has loved you since infancy and has "been there and done that". Needless to say, I left feeling very happy. 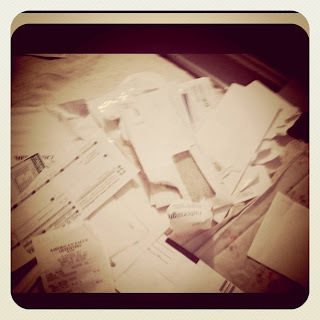 From lunch I came home to pay some bills, it made me really happy! I love paying bills on time! Proceeding my bills, there was a momentary "uuuuh it's so hot, what do I wear to class tonight?" I had just walked V in a hurry and was sticky from the sudden afternoon heat. I opted for a brown pencil skirt, loose purple and white blouse, pale pink heels and red lips. Tonight was the first night of class that I spoke 80% French. My students did so well. Perhaps it was the fact that I stopped at Golden Harvest in Valatie beforehand and bought cider donuts and apples! So far they have learned Salutations, Avoir, Etre, la famille, and -er verbes. Thursday will be their first quiz, I better bring a pretty great snack next time. I have set up a rule, that any quiz or test may be retaken within a week of the original date, for a better grade. The only requirement is that they write on the original how they think they will do. I.e., Dear Jeni, I am entirely hungover today and did not study. I am not expecting to do very well. -Dennis If they are completely honest with me, they may retake their quiz, and earn up to half of the points they missed. With that said, I also stressed the importance of studying and that if it was evident they studied, I would be very pleased... let us wait and see. 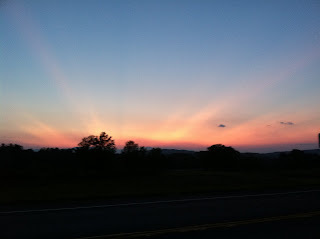 After leaving campus I was taken aback by the sunset, it could not have been more stunning! 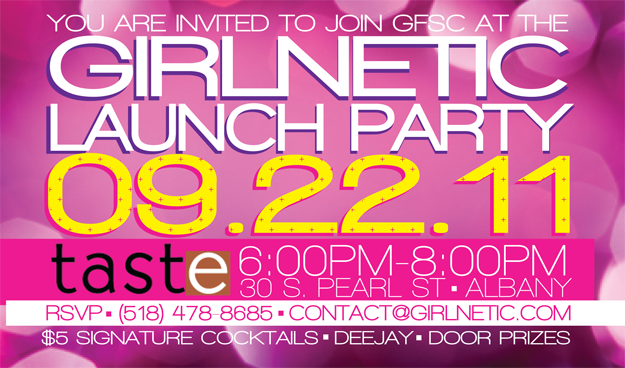 Next Thursday the 22nd of September is the Launch party of Girlnetic Fitness- Albany! In preparation for that I had a meeting with the lovely Jonaliza tonight- she is the creator of Girlnetic Fitness! The party is going to be a blast! We will have themed pink and purple drinks, a Deejay from Montreal, fantastic guest list and prizes, prizes and more prizes! This is something that I will blog much more in depth about, in a post to come. Now, I am at home, what a day it was. Tomorrow I will spend the first part of the day working on the finishing touches for the party, going for a run, grading homework and preparing for the first "interro". Once I have gotten all of my work out of the way, it will be time for my much anticipated "dork date" with my friend Adam H. We have decided to order sushi and watch documentaries! That too is something that will be blogged about in detail!